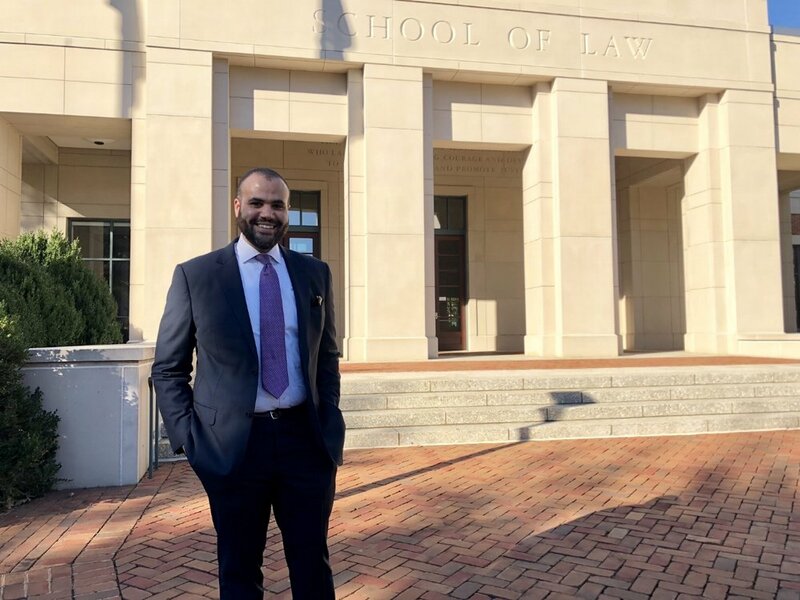 I was recently invited by the University of Virginia School of Law’s Black Law Students Association to return to my alma mater and speak about my experience with law enforcement, the University’s distinctive Honor System, and the professional and reputational aftermath of an ordeal involving my experience with both. I had expected to speak at length about a deeply painful period of my life. What I was not expecting was the extent to which I was embraced by the University, as illustrated by their welcoming introduction and embrace as well as by the thoughtful and insightful discussion that developed during my presentation. In addition to being welcomed so warmly by BLSA, I was moved to tears when Professor Kim Forde-Mazrui, one of my most steadfast supporters and mentors, presented me with a graduation cap and gown at the close of my talk, a symbolic gesture that demonstrated that I had truly come full circle from the time when I was unable to walk at my own graduation due to threats of protest. This was a true homecoming. I was also heartened that our discussion led to an important in-depth conversation about race on a much larger scale. The discussion, which stemmed from the audience’s insightful questions, touched on implicit bias within law enforcement and other organizations who aim to enforce institutional rules and principles, academic integrity reporting within university communities, higher education policy initiatives, and racial allyship best practices (and, for that matter, mandates). Despite the wide variety of topics we covered, the conversation often found its way back to one salient theme: Our institutions are, at bottom, governed and operated by individuals, all of whom possess personal conscious and subconscious racial biases, the identification and acknowledgment of which are required for meaningful institutional reform. The following morning, I was thrilled to meet with representatives from U.Va.’s Honor Committee, to propose policy and data initiatives that the Committee might undertake as important steps in the process of reforming the Honor System to ensure representation, protection, and justice for all University students and to preserve public and institutional confidence in the University’s unique system of trust. The two days of conversation, analysis, and examination strengthened my desire and resolve to continue a public dialogue that explores the important issues relating to individual racial bias as they relate to institutional norms and policies. This blog is the first step in the realization of that goal. While this will very likely be the last time I write about my personal experience as a student at U.Va., I hope this platform will serve to further the important larger conversations that my experience spotlights.